Starting in 2013, ThinkGeek have released several Star Trek rugs (and indeed rugs from a number of other popular culture series). 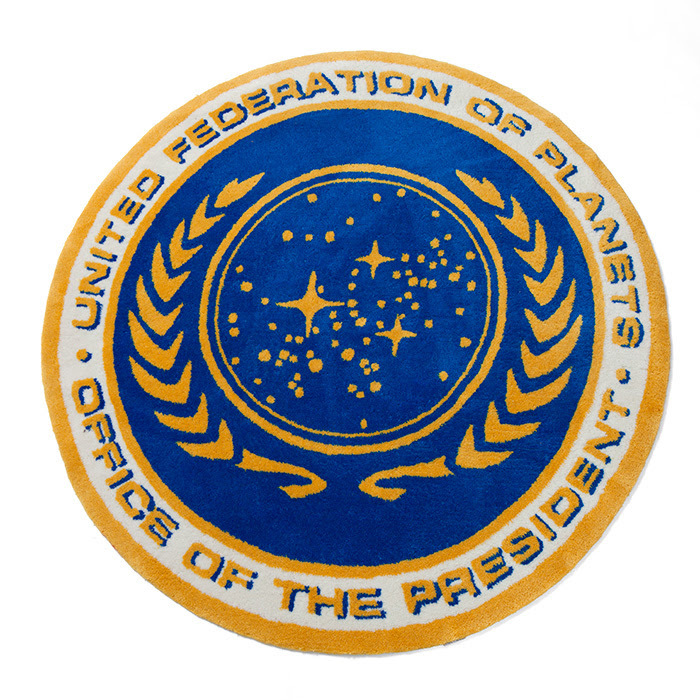 The rugs have drawn from several different aspects of Star Trek, although the majority have been starship inspired. 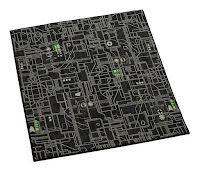 The following list is in reverse release order, with the latest rugs at the top of the page. Dimensions: 52 x 52 inches. Page created 19th November 2017. Last updated 18th August 2018. 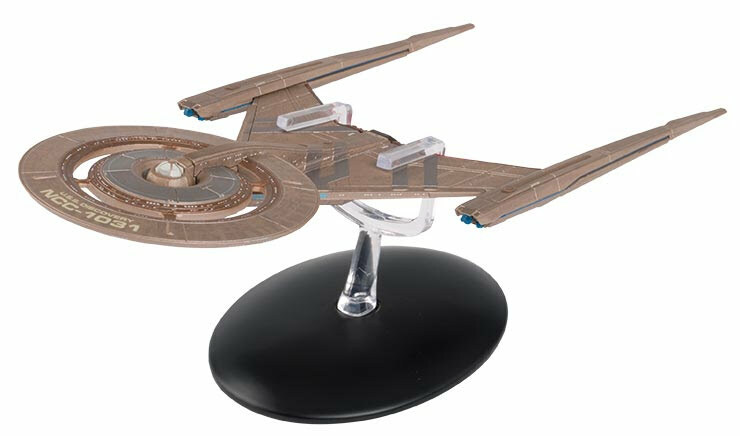 McFarlane Toys will start releasing Star Trek toys in 2017, after having acquired a license to produce toys from all the prime timeline TV series and movies. They have so far announced plans for two lines of action figures, at seven-inch and ten-inch scales. 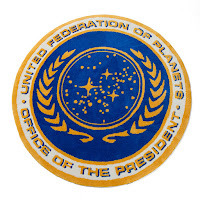 Characters currently planned are from TOS, TNG, and Discovery. The list below is split into the two different scales, with characters listed in release order within those sections. Overview: TNG TV-era Picard. Comes with phaser, and Ressikan flute (with box). Coverage: Prototype photos, sculpt and accessories details, Toy Fair display, photo, more photos, another photo. Purchase: Amazon, Entertainment Earth, Things From Another World, Forbidden Planet. Overview: TOS TV-era Kirk. Comes with a phaser pistol, phaser rifle, and communicator. Coverage: Prototype photos, sculpt and accessories details, Toy Fair display, photos, more photos, another photo. Page created 19th November 2017. Last updated 10th January 2019. 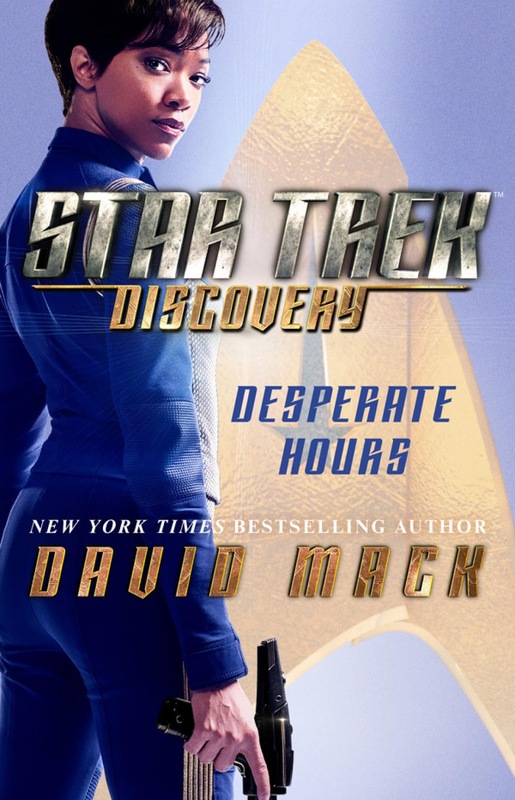 This is list of novels based on Star Trek: Discovery. 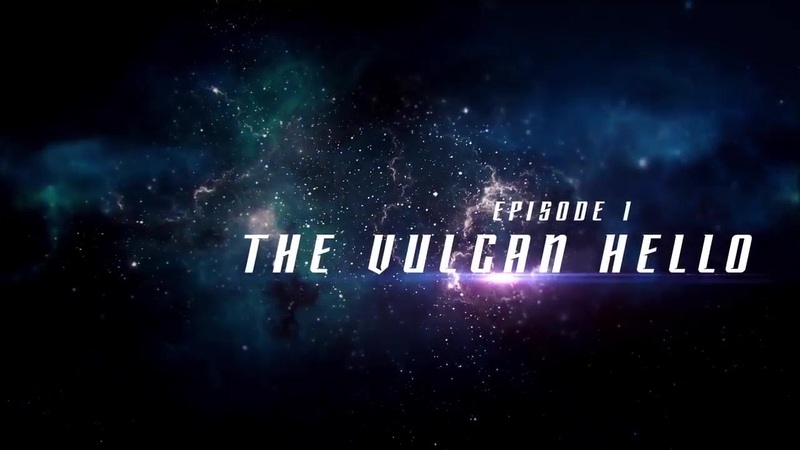 Both the TV series and tie-in novel series began in 2017. So far books based on the series have all been prequels to the main events of the TV series. 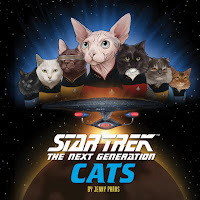 The books are released in the large trade paperback format, published by Gallery Books (part of Simon and Schuster), with audiobook releases by Simon and Schuster Audio, and German translations by Cross Cult. 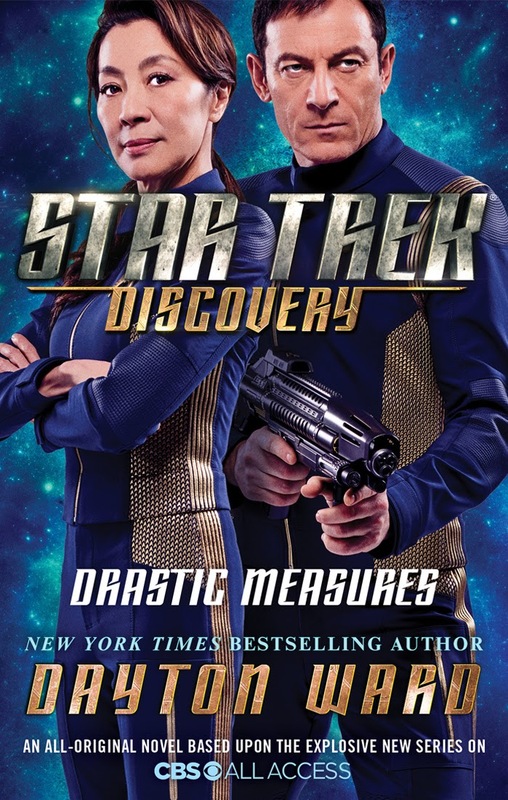 The novels so far released or planned have had an unprecedented degree of coordination with the television production, thanks to Star Trek novelist Kirsten Beyer's role on the series' writing staff, and subsequently as tie-in fiction coordinator. 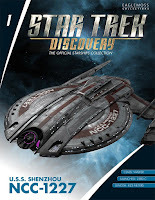 Thanks to this, the first Discovery novel was released near simultaneously with the start of the TV series, and the novel authors have been able to co-ordinate with the TV writers so that the works written during in the development of the series avoid contraction and have the character voices firmly established - Indeed the works were so effectively coordinated that details developed for the novels were even adopted back into the TV production. This list is in publication order. 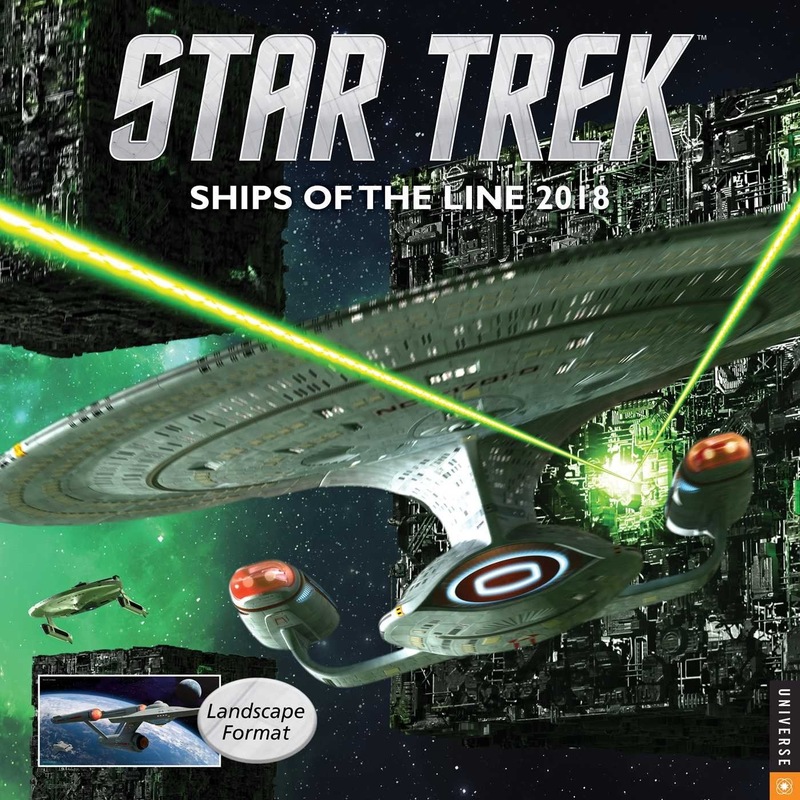 Overview: Set a year before the TV series, this book features the crew of the USS Shenzhou, as well as the USS Enterprise under Captain Pike, as both ships try to solve a problem on a colony world. 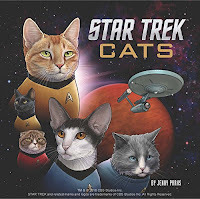 The book brings together Michael Burnham and Spock, giving in insight into their relationship, and also explains away some of the visual discontinuities between the TOS pilot episode aesthetic and that used in Discovery. 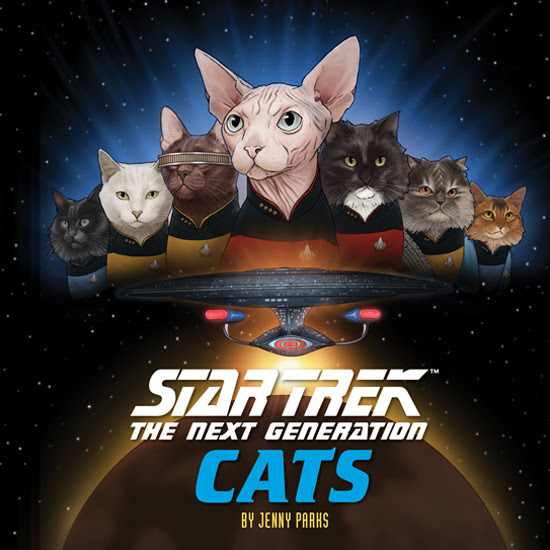 Audiobook, read by Susan Eisenberg (September 2017). German language edition, Gegen die Zeit, translated by Helga Parmiter (October 2017). 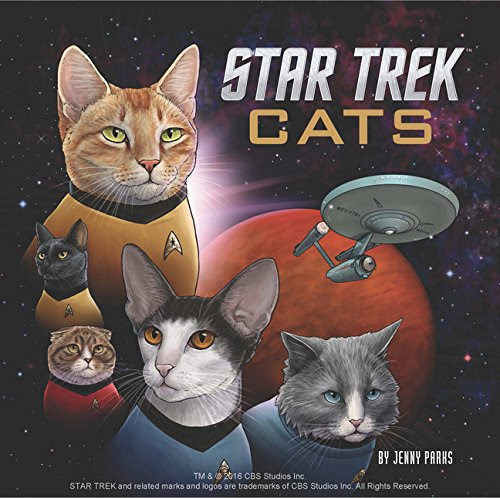 Purchase: Amazon, Forbidden Planet, iTunes. 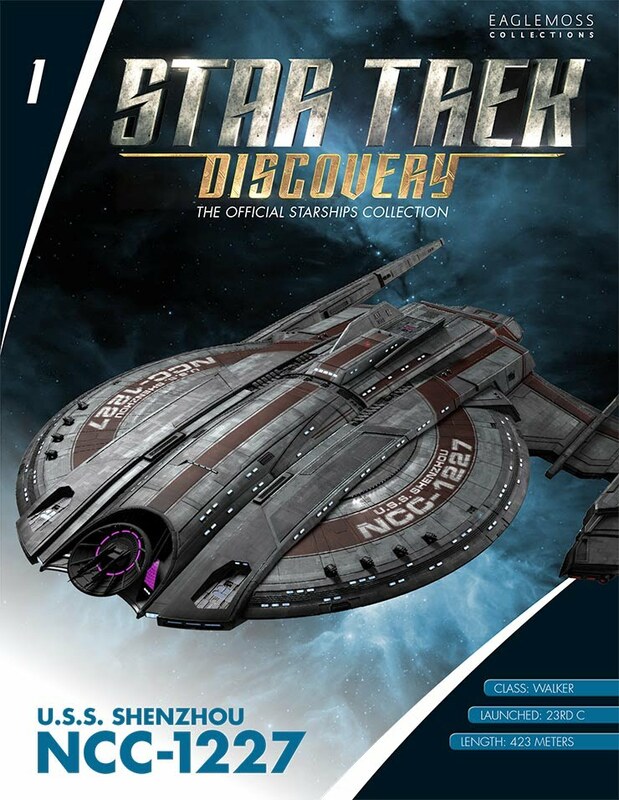 Overview: Set ten years before the TV series, this book features not-yet-captains Philippa Georgiou and Gabriella Lorca, and their involvement in the Tarsus IV massacre (an incident established in the TOS episode The Conscience of the King). German language edition, Drastische Massnahmen, translated by Helga Parmiter (February 2018). 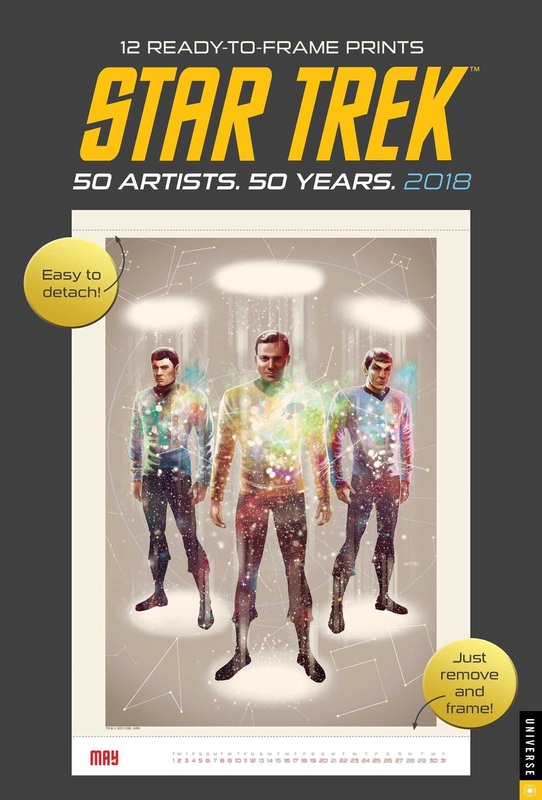 This page is a list of Star Trek calendars for 2018. 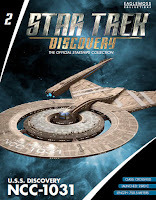 There are twelve different designs, with releases from Universe Publishing and Chronicle Books in the USA, Danilo in the UK, and Heye in Germany. 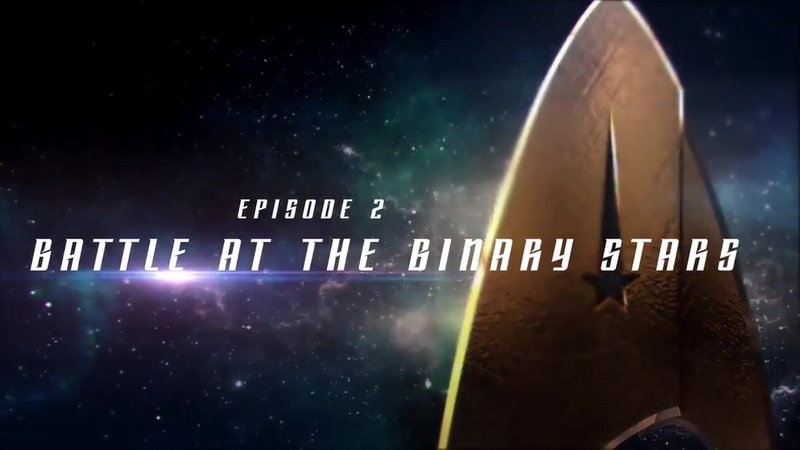 The new TV series Discovery is the subject of two different calendars, alongside many of the calendar lines from previous years continuing. Overview: Landscape format starship art calendar in the long running Ships of the Line series. Overview: Poster calendar featuring art from the 50 Artists 50 Years exhibition. This is the second year for this calendar series. 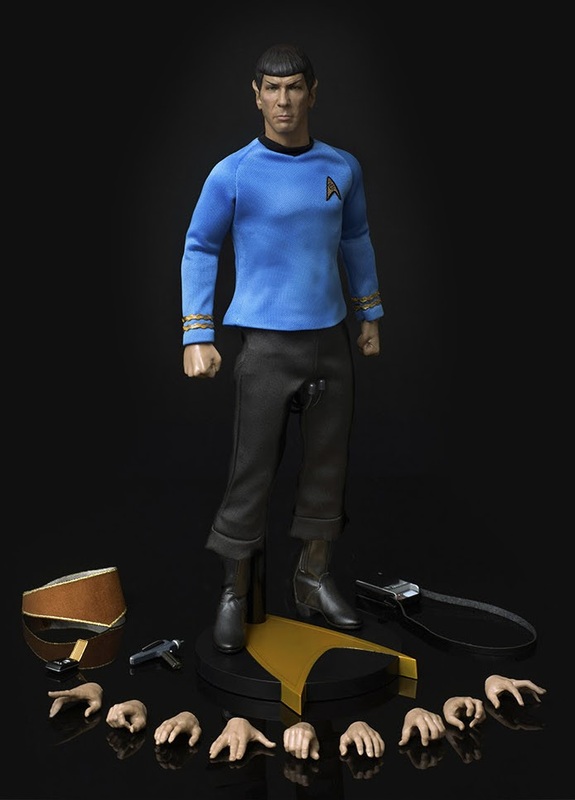 QMx have produced a range of Star Trek characters as 1:6 scale articulated figures, starting in 2016. Each character is released separately, and features highly detailed head sculpts, intricately recreated cloth costumes, numerous accessories, and an assortment of different hands to allow different poses, and to hold all those accessories. Each figures also comes with a display base. 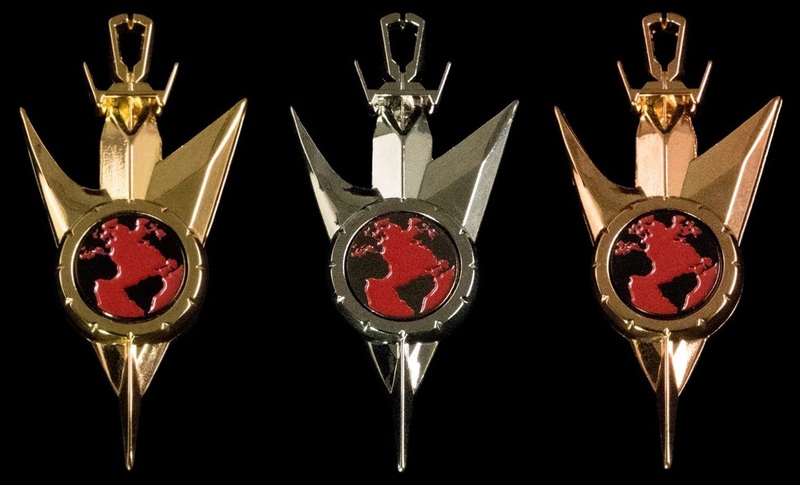 Most of the releases have also been available as an exclusive edition when bought directly from QMx, including additional accessories. At 1:6 scale, each character is about twelve inches tall. So far the majority of releases have been of TOS TV-era characters. 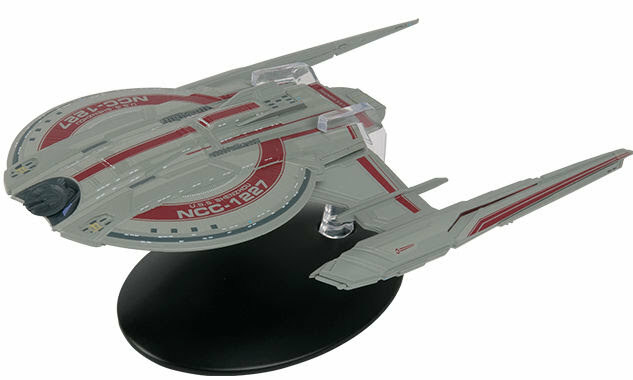 There has been one TNG figure in the series so far. 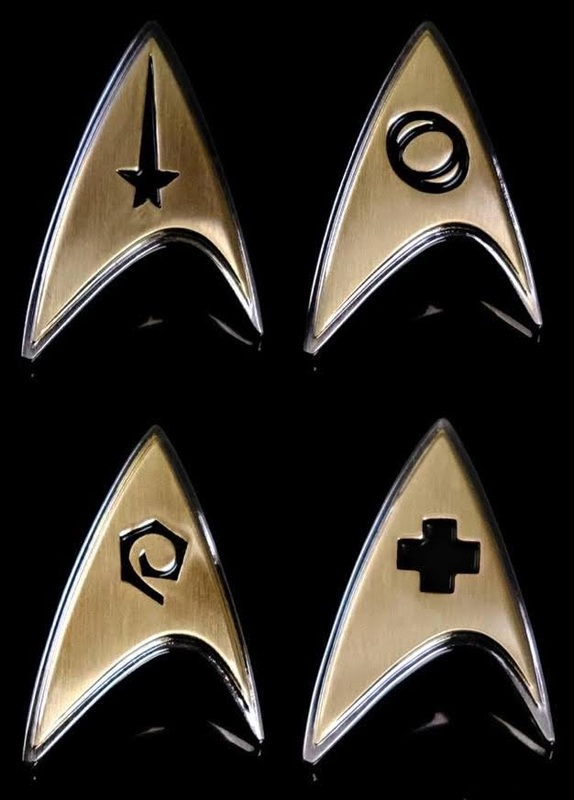 QMx have plans for many more characters from the TOS and TNG TV eras, plus Wrath of Khan, Star Trek Beyond, and Discovery figures. 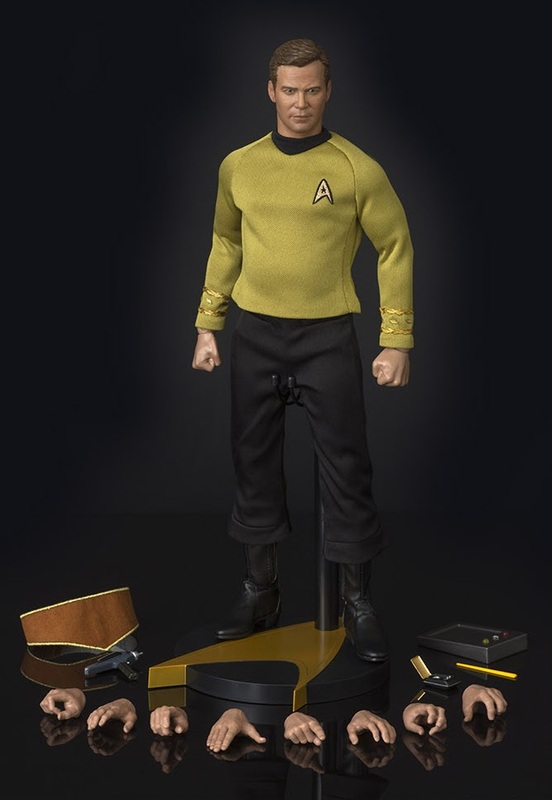 Overview: TV-era Captain Kirk, with a phaser pistol, communicator, tablet and stylus, and landing party utility belt. There are numerous hands to hold each of those, plus a pointing hand, and karate chop hand! The exclusive edition comes with a phaser rifle too. Purchase: Amazon, Things From Another World, Entertainment Earth, Forbidden Planet. Overview: TV-era Spock, with a phaser pistol, communicator, tricorder, and landing party utility belt. There are numerous hands to hold each of those, plus ones for the live long and prosper sign, nerve pinch and mind meld. 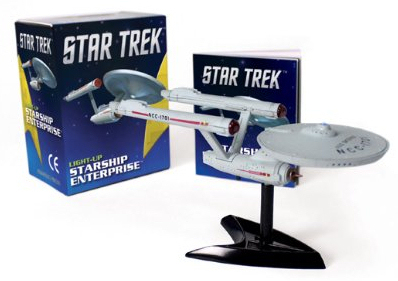 The exclusive edition comes with a Vulcan lyre too.